The new NIVEA Repair & Care range has hit shelves just in time for the cold Winter weather that is now upon us. Available in both a lotion and cream, the Repair & Care products provide 72 hour relief for very dry and itchy skin. 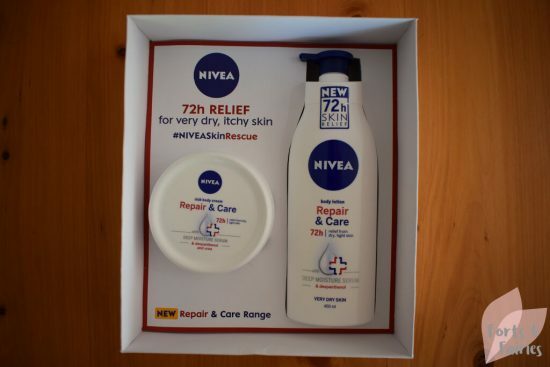 The two Repair & Care products include Dexpanthenol, a richly moisturising ingredient, and the NIVEA Deep Moisture Serum. The cream also includes Urea, which prevents moisture loss and helps soothe and relieve itchiness from dry skin. The lotion is easily absorbed and non-greasy, it also features a handy pump dispenser. You’ll feel the moisturising effect it has on your skin right away, and also be left with a lovely delicate smell. The cream is naturally thicker, but it’s still non-greasy and easily absorbed. It’s perfect to use at night time when your skin is in repair mode, I find that if I apply it to my feet at night they feel much softer in the morning. It’s my new favourite NIVEA product! 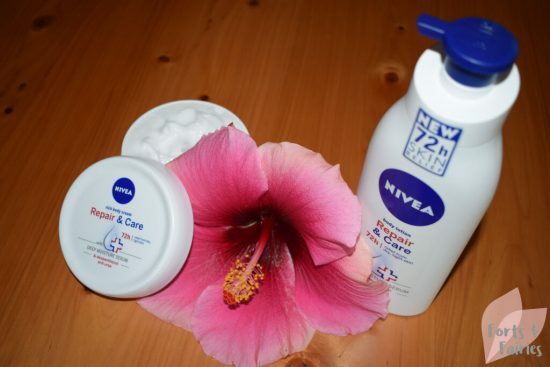 NIVEA Repair & Care Lotion and Cream are available for R69.99 each and are in stores now.